Eligible is the fourth book to be released as part of the Jane Austen Project; a series that sees contemporary authors adapt Austen’s stories to modern-day settings. This time around, Curtis Sittenfeld takes Pride and Prejudice, moves it to Cincinnati in the early twenty-first century, and she ramps it up with her unmistakable, biting humour. Both approaching their 40s and unmarried (much to their mother’s annoyance), Liz and Jane return to their family home after their father suffers a heart attack. Here, they soon learn their father has frittered away much of the family inheritance, their mother is hoarding shopping goods, their younger sisters remain as unhelpful as ever, and Chip Bingley – doctor and former bachelor of a reality TV dating show – has arrived in town. Obviously, he’s looking for a wife. And there’s also his handsome standoffish neurosurgeon friend to contend with. No doubt this description already has some Austen fans in cold sweats, and if you feel protective of the source material, you might want to steer clear. As for me, I’m a fan but no purist. I always have high hopes when I hear about adaptations and, luckily, this is far from being a Pride and Prejudice and Zombies debacle. Rather, Eligible is one of the funniest and smartest adaptations I’ve ever read. Sittenfeld demonstrates a real understanding of and affection for the original material, alongside a willingness to take risks in her version of events. (I particularly enjoyed Lady Catherine de Bourgh as an 80-year-old feminist icon.) 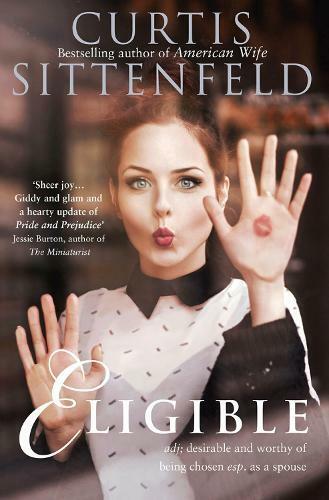 If anything, Sittenfeld has an even sharper tongue than Austen and she’s unsparing in depicting her character’s faults, which reflect all too badly on real life. It’s rare for a book to make me laugh out loud, but Eligible made me laugh more times than I can count – frequently out of uncomfortableness. I have no hesitation in recommending Eligible to readers looking for a big, juicy novel to sink their teeth into. It’s a serious page-turner, and a heck of a lot of fun.